What's been happening at GLCH? 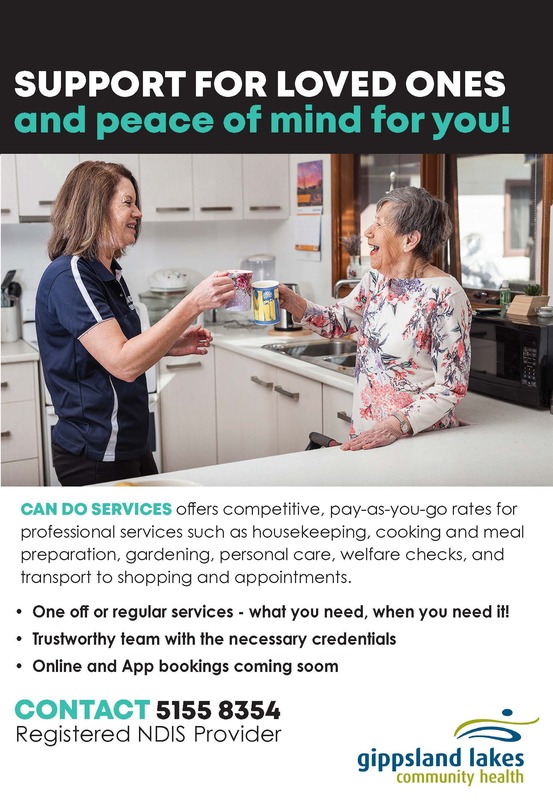 Since 1975 Gippsland Lakes Community Health (GLCH) has been a leading not-for-profit provider of health and wellness services in East Gippsland. 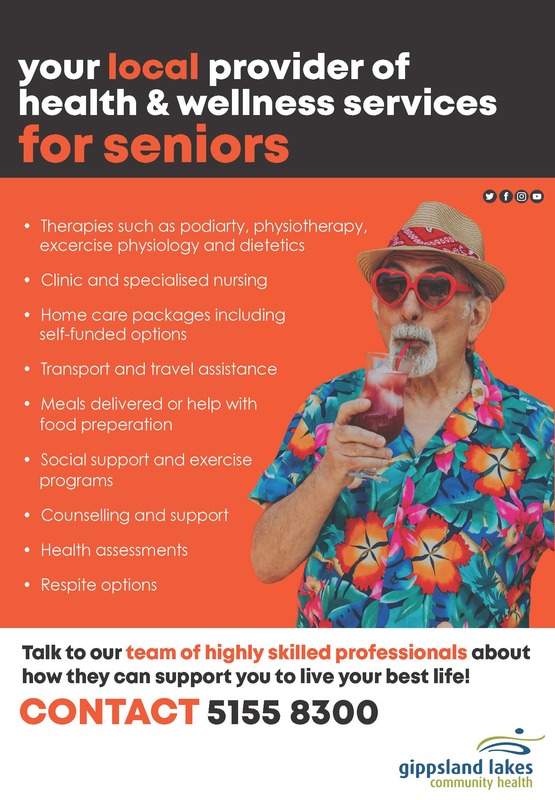 Today GLCH continues to help seniors enjoy a healthier, happier and more independent lifestyle through its extensive range of programs and services delivered by a friendly, compassionate and reliable team of local people. 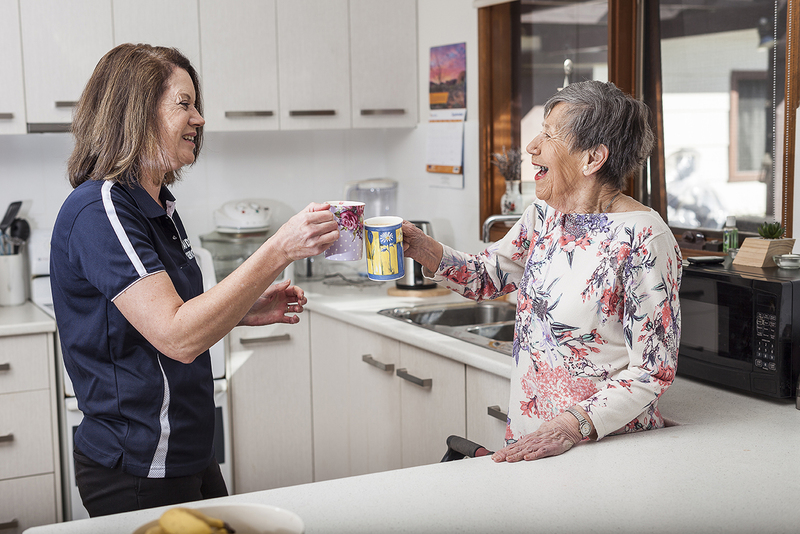 Whether you’re looking for help at home, an exercise program, or socialisation opportunities for yourself or a family member, then GLCH is your local service provider of choice. 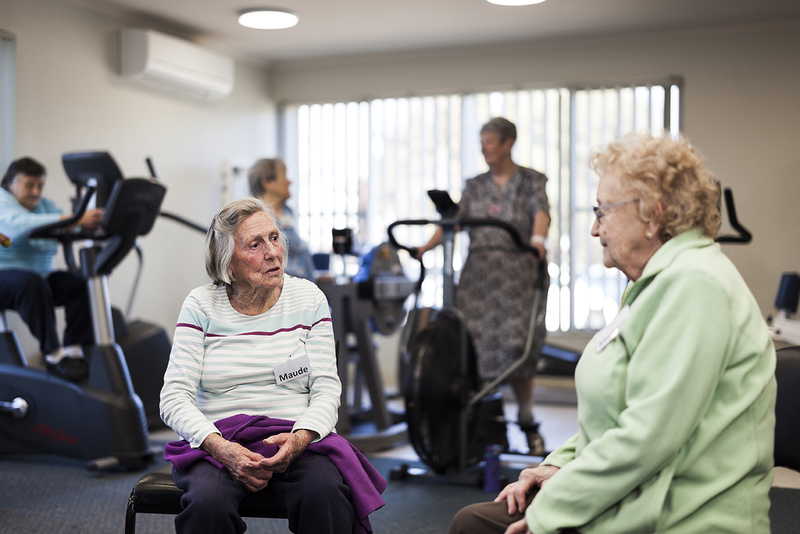 A complete range of therapies is also available to help seniors maximise independence and remain active and healthy. 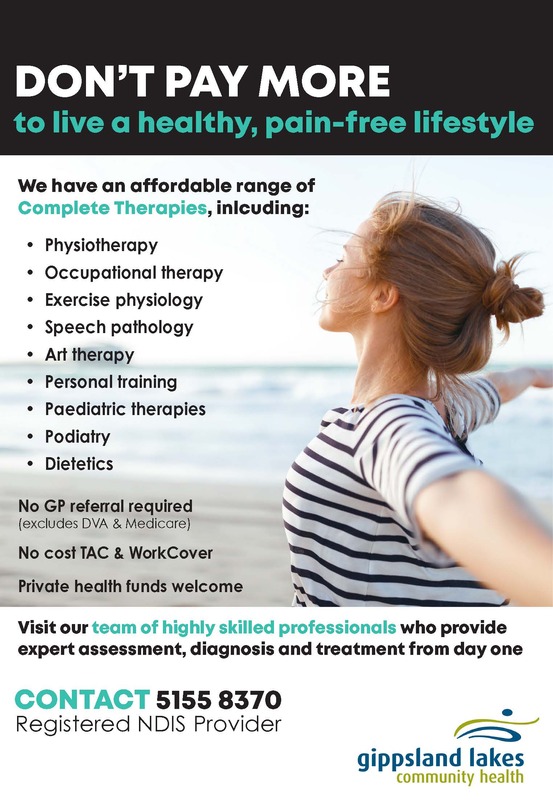 GLCH offers flexible services including physiotherapy, podiatry, exercise physiology, occupational therapy, personal trainers and a range of fitness groups that aim to increase mobility, manage chronic illness and pain, and improve strength and fitness. Pictured: Maude Newman and Margery Cogger catch up at GLCH’s ‘Keep Active’ group in Lakes Entrance. Keep Active is a supervised gym session for people with reduced mobility to help maintain independence, and is just one of the many exercise programs available to East Gippsland seniors. There’s no need to pay $50, $75 or even $100+ dollars to sort through your thoughts and emotions because Gippsland Lakes Community Health (GLCH) are kicking off their popular Art Therapy program in April – and sessions are just $15! Art Therapy is based on the idea that a creative act can be healing as it can help you express hidden emotions; reduce stress, fear, and anxiety; and provide a sense of freedom. Art Therapy can also help you manage physical and emotional problems by enabling you to express your emotions through creative activities. It can help you come to terms with emotional conflicts, increase self-awareness, and express unspoken or even unconscious concerns about issues or stress that may be going on in your life. 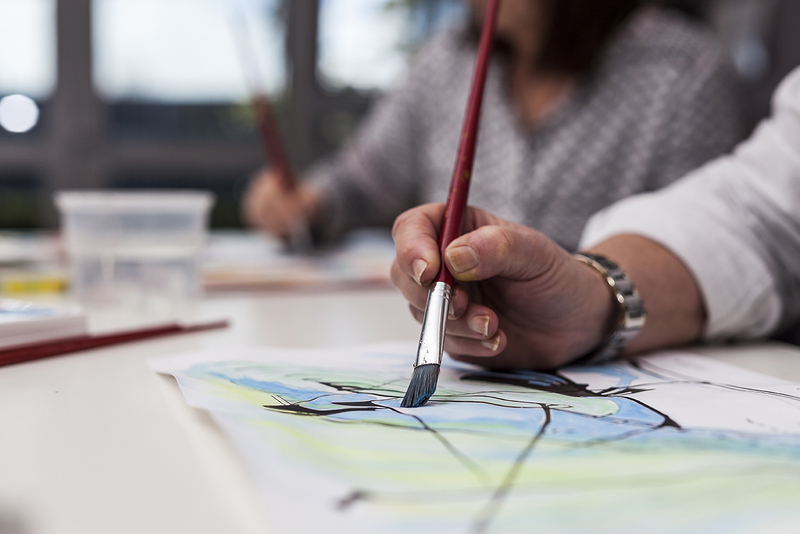 The name “Art Therapy” can cause confusion – it’s important to understand these sessions are not art classes where you’ll learn how to paint or draw, and Art Therapy is not about what’s produced. Instead, it’s simply about allowing your thoughts and emotions to flow freely, in a comfortable, non-intimidating, confidential and highly supportive group environment. For this reason, you don’t need to have any artistic talent or ability to participate in Art Therapy. Over time, the result of this process is that you’ll learn how to better connect with your emotions and gain clarity around your thoughts and behaviours. Art Therapy is conducted worldwide with great success, particularly among people who are undertaking another form of therapy at the same time. The Art Therapy program will be held in Lakes Entrance every Tuesday from 1pm to 2.30pm for 8 weeks, starting on 23rd April. 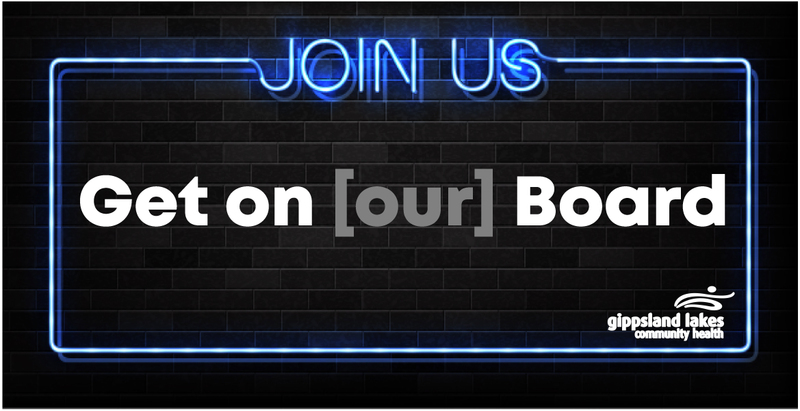 To find out more contact our Health Promotion team on 5155 8370. Last year our Health Promotion team partnered with Save the Children and local primary schools to explore the prevention of family violence in the community. 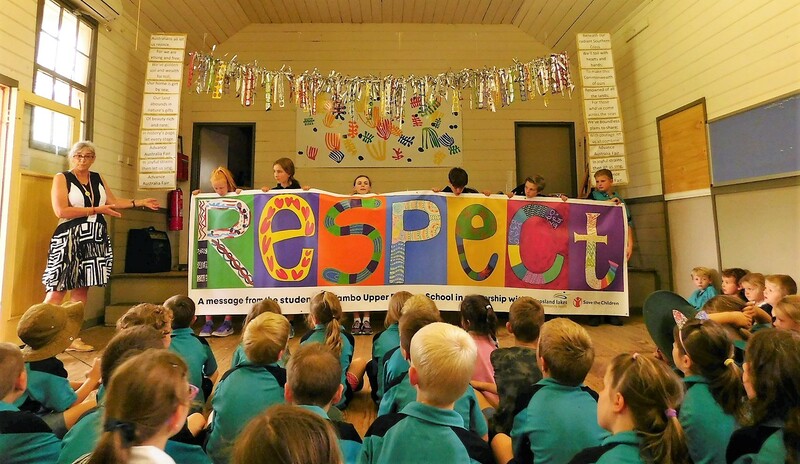 The grade 5 and 6 students at Tambo Upper Primary School brainstormed ways that they thought would send a clear message to people in their school and the broader community, and the grade six students felt that the word “RESPECT” was a clear message for how people should act towards others – because if you respect everyone, then there would be no family violence. Students worked creatively to then illustrate the word in a way that would capture people’s attention and convey the message. The artwork was turned into a banner, which GLCH’s Health Promotion worker Andrea Farley, recently presented to the whole school. Gippsland Lakes Community Health (GLCH) is inviting suitably qualified and experienced contractors to complete the redevelopment of 16 Jemmeson Street Lakes Entrance into a dedicated Fleet Vehicle Storage area. 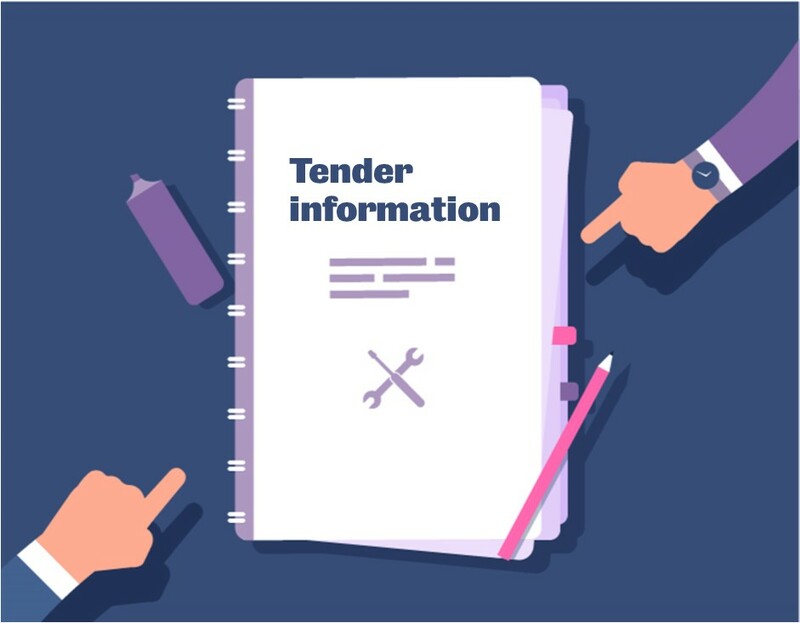 A detailed copy of the Tender is available HERE. 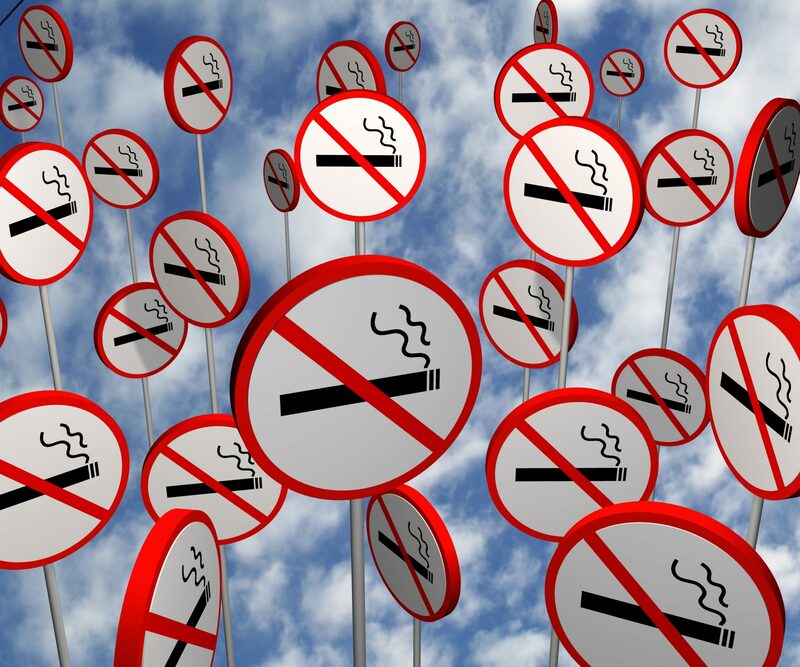 Sharing the message – local Aboriginal communities say smoking is not okay! The Health Promotion team at Gippsland Lakes Community Health (GLCH) have partnered with the Tackling Indigenous Smoking team from Lakes Entrance Aboriginal Health Association (LEAHA) to promote a smoke-free message to local Aboriginal families. 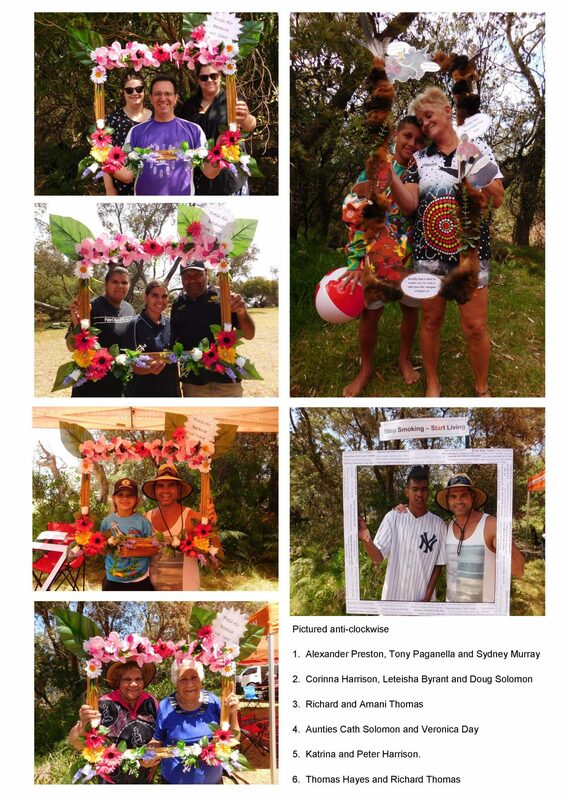 At a recent Family Fun Day at Cape Conran, the teams encouraged community members to have their photo taken with their ‘Fresh Air Frame.’ Images were printed off on the day for people to take home and display in their home as a reminder not to smoke cigarettes. Contact the team at LEAHA to find out more about how they are tackling Indigenous smoking. 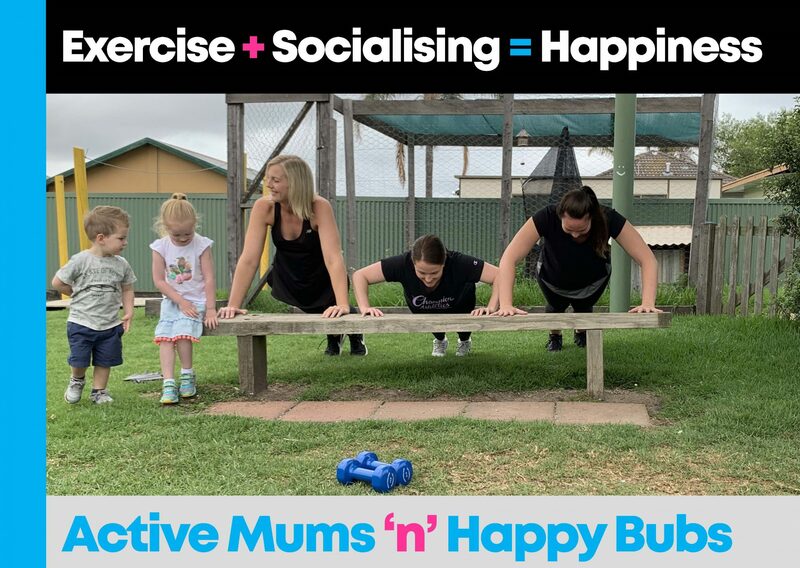 At 9am on Tuesday 5 February at the rotunda near the footbridge in Lakes Entrance, Gippsland Lakes Community Health (GLCH) will commence a new FREE program called “Active Mums n Happy Bubs”, to bring new mums together to restore their fitness or commence a new fitness journey. 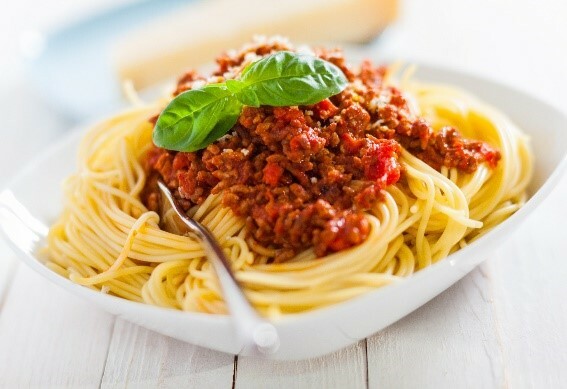 Also involved is GLCH’s Accredited Practising Dietitian, Chelsea Arceri, who will be available to the group to provide nutrition-related advice, which is very important for mums and bubs during this post-natal period. Active Mums n Happy Bubs consists of weekly one-hour exercise sessions, followed by 30 minutes of socialising. The sessions are held in local parks, playground areas and walking tracks around Lakes Entrance and are run in accordance with the school terms. “If we can facilitate a more connected and confident community of new mums, who know where to turn when they need support, then we can reduce that sense of isolation that is often experienced during the initial phase of parenthood – and the wider local community will also become stronger and more connected as a result,” says Ms Medson. Active Mums n Happy Bubs received almost $5,000 as part of the 2018 Freemasons Community Grants program, to fund the initial development and provision of this sought-after community program. To register your interest or to find out more about the Active Mums n Happy Bubs program phone GLCH (which is also a registered NDIS provider) on 5155 8370. Gippsland Lakes Community Health (GLCH) currently has two vacancies for Appointed (non-elected) Directors. The first position is for a full term of three years concluding December 2021 and the second position is for one year only, concluding in December 2019. GLCH is a company limited by guarantee, reporting to the Australian Securities and Investment Commission. With a budget of $30 million and over 400 staff, the organisation’s mission is to provide health and community support services to the communities of East Gippsland. Main offices are located in Lakes Entrance and Bairnsdale with outreach sites in Bruthen, Metung, and Nowa Nowa. The Board consists of nine members, six elected from the membership and three appointed, to ensure a broad range of skills. All Board positions at GLCH are honorary. Out of pocket expenses are reimbursed. Nominations are due by COB Friday, January 25, 2019.